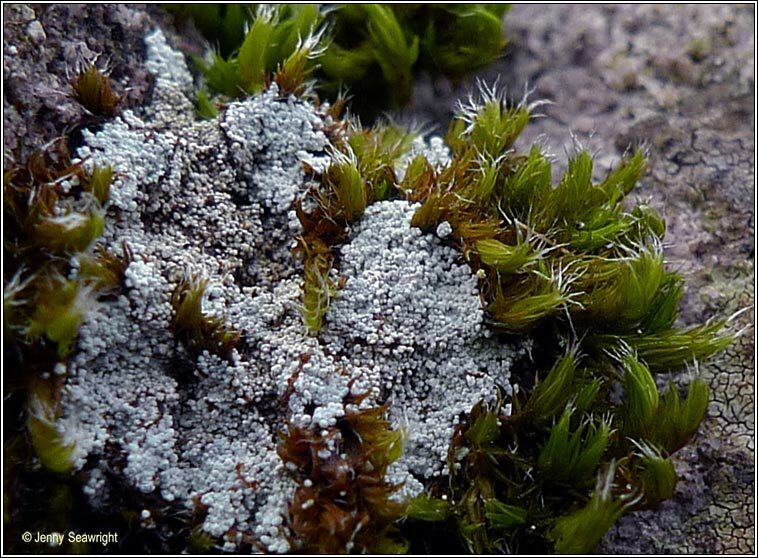 Thallus forms rosette-shaped patches of greyish granules, often slightly darker in centre. 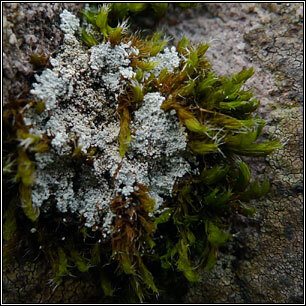 Found on well-lit siliceous upland rocks, also over-growing mosses and on soil in similar habitats. Usually K+ faint yellow, C-, P+ orange but very variable.